The free way to clone old computer to a new one without reinstalling Windows 10/8.1/8/7 and everything else, even if the target computer has different hardware with the old computer. When will you need to clone old computer to a new one? When you buy a new computer to replace the old one, but you are used to the old system, settings, applications, and everything on the old computer, what will you do then? Instead of spending time installing Windows and applications and copying files, to clone the hard drive of the old computer to the new one would be a smart move. Doing so, the new computer keeps everything the same as the old one, including the operating system, installed applications, and personal data. To transfer one computer to another, you can clone hard drive of the old computer to another hard drive, and then install the cloned drive to your new computer. If you only want to keep the old Windows and programs, you can use System Clone to clone only OS to your new computer. Cloning the disk will include all the hardware information of the original into the clone. That is the way of cloning. If the new computer has the same hardware with the old one, at least the same CPU, then the new computer can boot from the cloned disk. Hard drive cloning software - AOMEI Backupper Professional allows you to easily clone one computer to another computer with the same hardware. If the new computer has dissimilar hardware, you can use Universal Restore feature of AOMEI Backupper to transfer Windows and all data to a computer with dissimilar hardware. 1. 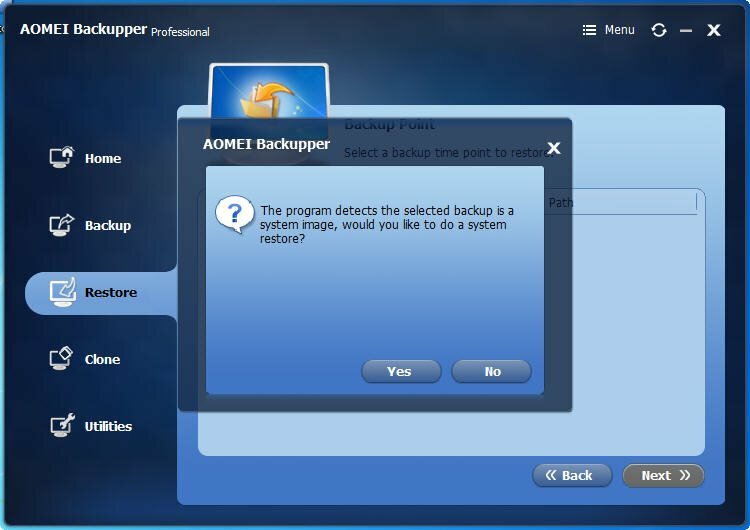 Download AOMEI Backupper Professional and create a disk image or system image and the backup image must be saved where the new computer can access. AOMEI Backupper supports backing up to NAS, HDD, SSD, and other storage devices. 2. Start up new computer(s) via a bootable CD or USB created by AOMEI Backupper or PXE Boot Tool, which allows you to boot multiple client computers within LAN simultaneously. Step 1. Boot the target computer via AOMEI bootable media or PXE. It will show the main interface of AOMEI Backupper. Click “Restore” tab. Step 2. 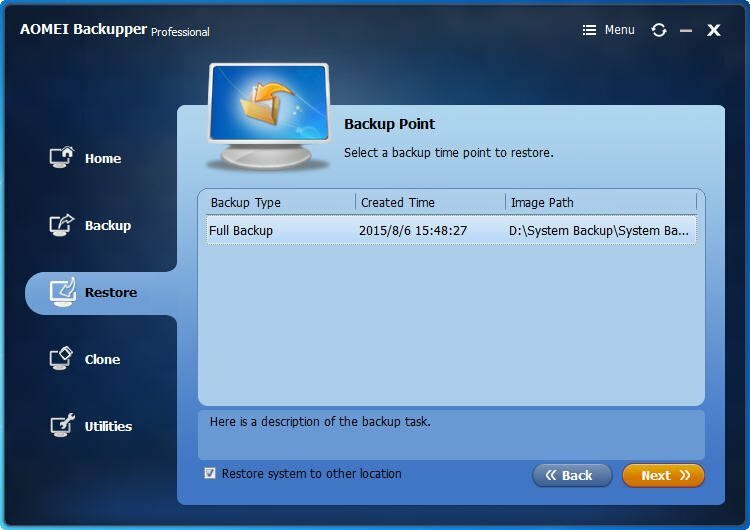 Click “Path” to locate the disk image backup or system image backup you created. Note that the drive letter may change under AOMEI PE environment. Step 3. You may have multiple backup points, as AOMEI Backupper supports scheduled backup performed by full/incremental/differential backups . Click on a backup point and click "Next" to continue. Step 4. Select a destination location to restore image backup to and click "Next". Step 5. In the Operation Summary screen, check the option "Enable Universal Restore", and click "Start Restore". To sum up, no matter whether your new computer has the same hardware or dissimilar hardware with the old computer, AOMEI Backupper allows you to clone old computer to a new one using one way or another. For new users, it provides 30-day free trial with all functions.